Avast ye' landlubbers! 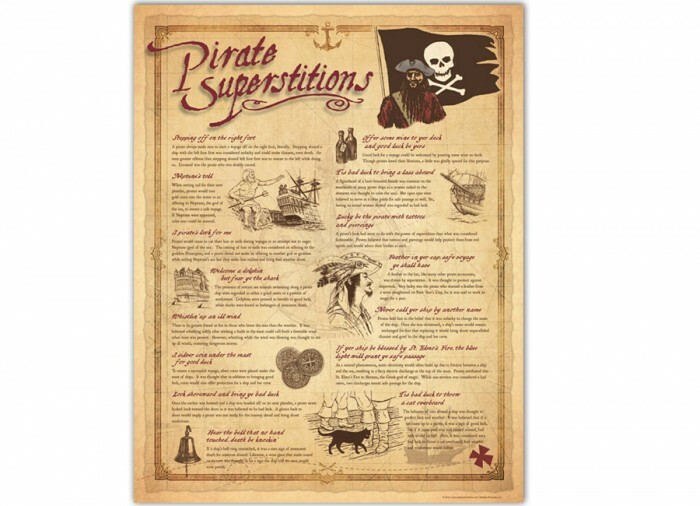 Get your pirate superstitions print before ye' step off on the wrong foot! 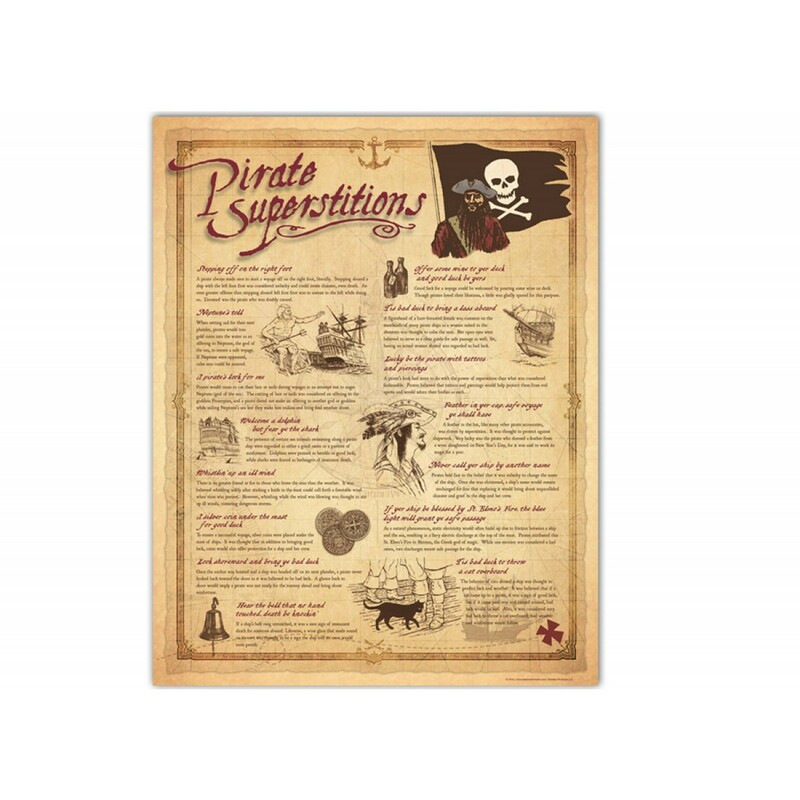 This wonderful new print from Sealake Products includes 15 historically accurate pirate superstitions, detailed on beautiful parchment paper. 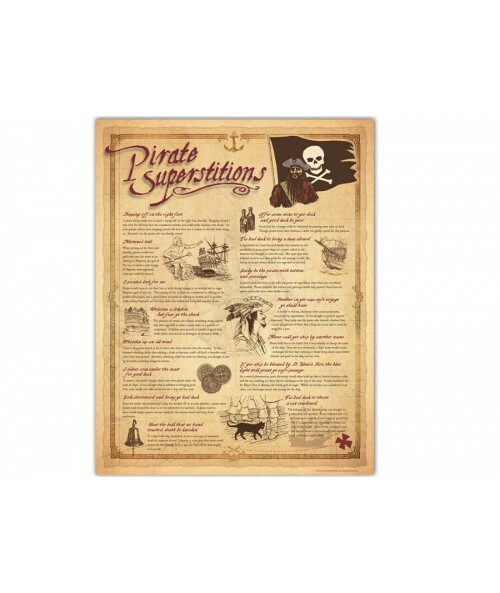 This hand-drawn pen and ink print is perfect for someone who loves pirate history. It's available in two unique sizes to fit any space: one in a small size of 15 1/4" x 19 1/2" and one in a full size of 19 1/2" x 25".